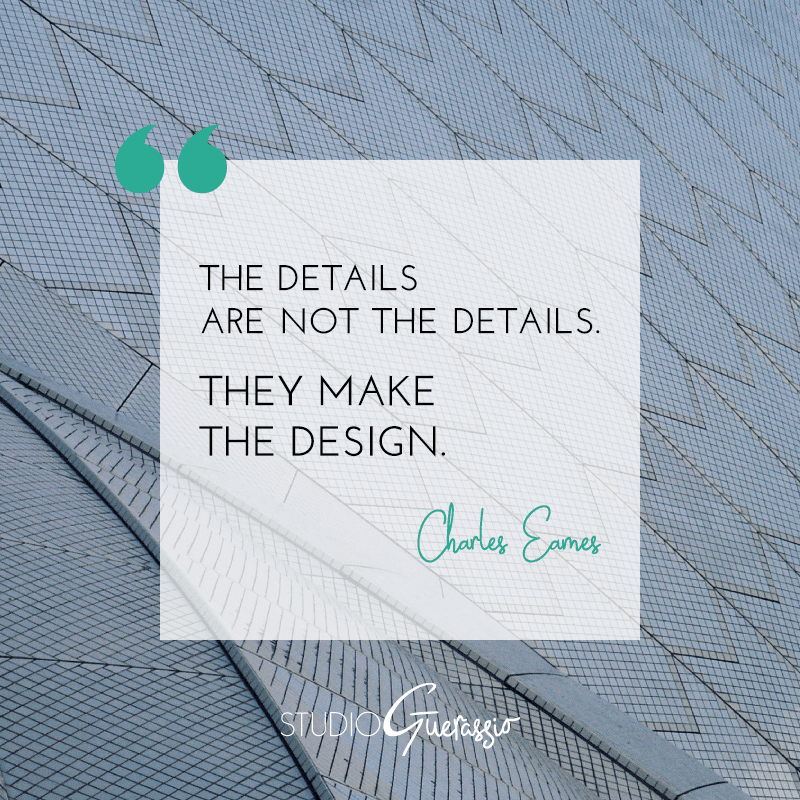 The details are what make a design. This is exactly why details are the things that designers fuss over the most. If you’ve ever seen a designer move an element one pixel left, then one pixel right, then back, then again, over and over- this is what’s going on. Don’t tell us that it doesn’t make a difference, because it does! A hundred small decisions like that, added together, DO make a difference, whether an outsider remarks upon it or not. In fact, it’s exactly when they don’t notice that we know we’ve succeeded. This applies to so many things, too, not just design. Writing, programming, music, architecture…I could go on. Paying attention to all of those little details, and getting them right, is what separates the true professionals from the crowd. Why do you think so many employers specify that they are looking for someone who is detail-oriented? Details are important. That’s why we have both of these phrases: the devil is in the details, and God is in the details. The first is a warning to pay attention, as even the grandest creation depends on the success of its smallest components. The second speaks to the artistry of minutiae, and the focus and dedication required to achieve anything of worth. So, no, it’s never ‘just’ the details. The details are everything. Food for thought on this Monday morning. What are some details you’ve been obsessing over lately?